Working in “project mode”, our event service supports you devising in the most optimal transport logistic during your event. AJM Touring objective is to allow the event organizers to free themselves from the ground transportation administrative/operational burden throughout the overall trade show/congress/seminar. Event management is conducted in “project mode”, with an AJM Touring dedicated bilingual representative. Once your request has been clearly defined, formalized and assessed, the relevant AJM Touring event manager ensures smooth and effective requested transport handling all hazards associated with flight delays, or last minute change requests. In light of your needs and requirements, AJM Touring advises and optimizes transport solutions for your events . Dedicated bilingual operational event management is provided from the start of the mission until the last departure. 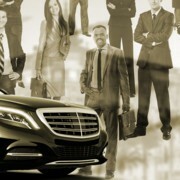 On board of our vehicles the most important person is you !